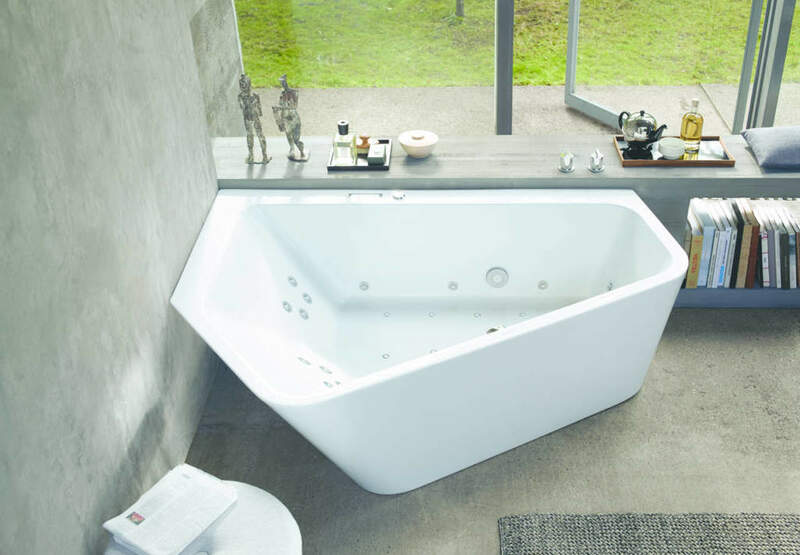 An unusual, iconic shape created by rotating (or rather, “twisting” to one side) a conventional wall-mounted tub towards the centre of the room; a new concept of the experience of “taking a bath” permitted by a backrest which can be angled in different ways to customise the bather’s position in the tub; an intelligent, sophisticated optional addition, like the Combi L hydromassage system, for even greater comfort. 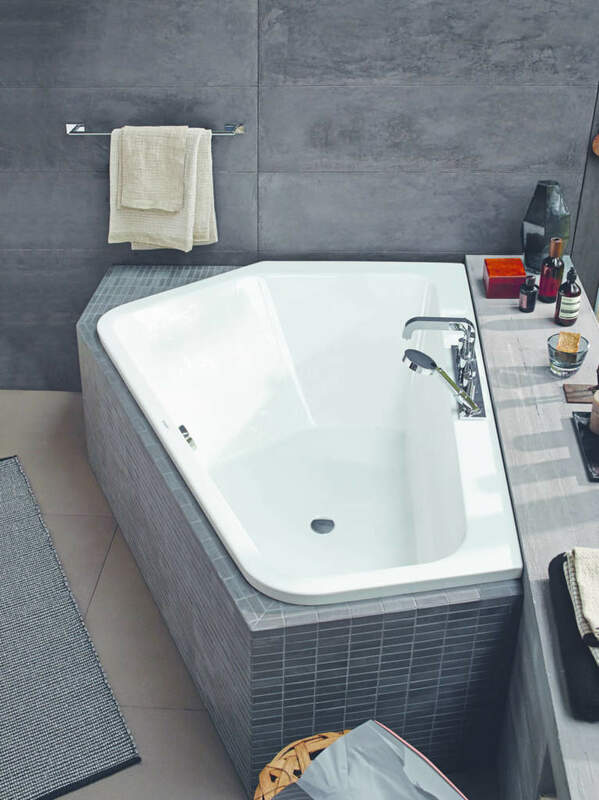 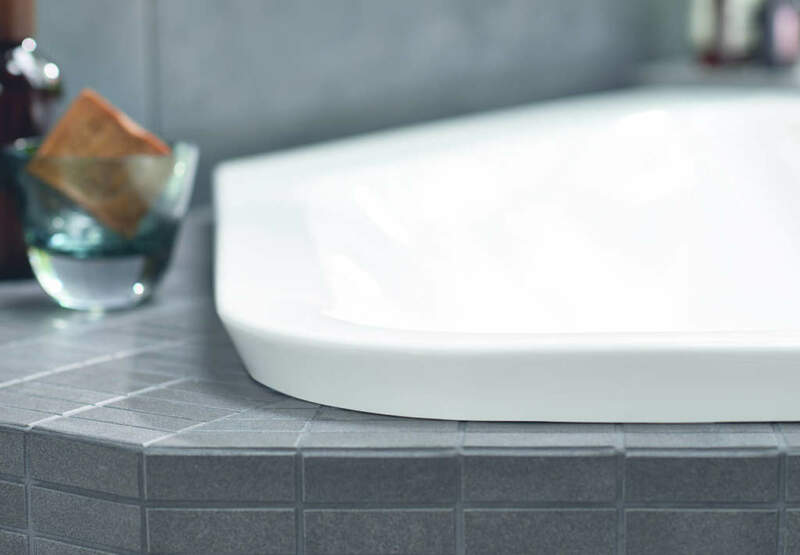 These are the outstanding features of the new Paiova 5 pentagonal bathtub designed by Eoos for Duravit; a three-dimensional volume halfway between a freestanding tub and a wall-mounted one, making it possible to share a large volume, choosing an ergonomic seated position or another, more reclined one. 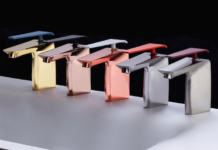 Special attention has been dedicated to dimensions in the design; the tub entrance, at 580 mm, is smaller than the standard 600 mm to make it easy to enter, but also in the definition of thicknesses; the thin rim becomes a convenient support to hold onto, wider against the wall to form a handy shelf.